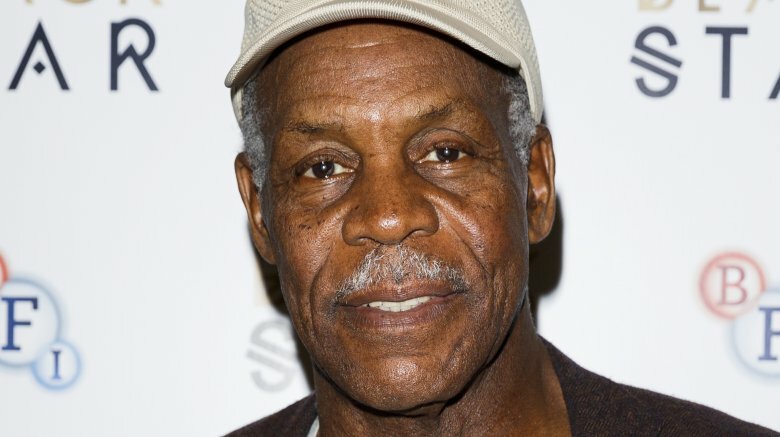 Danny Glover is about to get supernatural for Hulu. According to The Hollywood Reporter, the Lethal Weapon star has signed on to play a role in the streamer's upcoming Locke and Key pilot, which is based on the graphic novel from Joe Hill. Locke and Key follows the Locke family after the patriarch, Rendell, is brutally murdered. The Conjuring 2's Frances O'Connor is set to play the mother, Nina, who takes her three children to the Keyhouse, a mysterious mansion in New England. The house is filled with magical keys that allow the children to open doors to other dimensions. However, a terrifying demon has other plans for the portals, and won't stop until it gets the keys back. Glover will play Joe Ridgeway, an "eccentric" English teacher at Matheson Academy, the school that the children attend after their move. Joe is said to be a mentor to the Locke children, although don't expect him to stick around for long– sources say that Glover will not be a series regular, and the role could be as small as a cameo. Still, though, Joe is said to know some tragic secrets that Rendell kept from the rest of his family, so he should have a big part to play. It's Jackson Robert Scott and Megan Charpentier are set to play the two younger Locke children, with Scott taking on the role of the optimistic and imaginative Bode and Charpentier playing the middle child Kinsey. Glover's casting announcement also included the news that newcomer Jack Mulhern has signed on to play the eldest child, the protective Tyler. After his father's death, Tyler has to grow up quickly and become the man of the house. The cast also includes Nate Corddry as the siblings' uncle Duncan. Lost's Carlton Cuse is set to serve as showrunner for the series, while Hill will pen the pilot. IT's Andy Muschietti will direct the pilot, taking over for Doctor Strange's Scott Derrickson, who had to leave due to scheduling issues. Hill, Cuse, and Muschietti are all set to executive produce alongside David Ozer. This is the second notable attempt at adapting Locke and Key for television. In 2010, Fringe's Alex Kurtzman and Roberto Orci pushed forward a pilot starring Miranda Otto as Nina, with Sarah Bolger, Ksenia Solo, Nick Stahl, and Jesse McCartney filling out the cast. Even though the pilot was very well-received when it screened at Comic-Con, and it had a big name attached in the form of executive producer Steven Spielberg, no network was willing to pick the potentially huge show up. A film trilogy was then announced in 2014, although that never came to fruition. The closest Locke and Key has come to the screen is a 2015 13-hour audio book released by Audible, featuring performances from Tatiana Maslany, Kate Mulgrew, Haley Joel Osment, and Hill's father Stephen King. Hulu's Locke and Key pilot does not have a premiere date yet.